Georgetown Hospital, 1978. Slide by Michael Keniger, Collection of the Fryer Library, the University of Queensland. 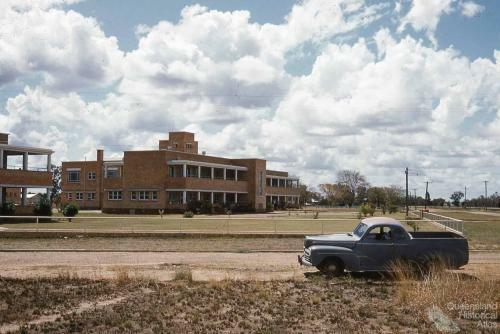 Emerald Hospital, 1964. Slide by Ross Phillis, Collection of the Centre for the Government of Queensland. The General Hospital at North Ward Townsville, with L-shaped new nurses quarters behind. 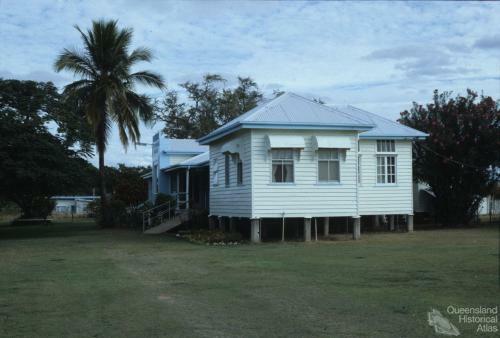 The two storey wooden building in the centre is the old Townsville hospital, demolished soon after this photograph was taken in 1958. Slide by Peter Petersen, Collection of the Centre for the Government of Queensland.